Open up a convenient new way to exercise and rest. Our Tri-fold foam mats supply the cushion of air you need for a good work out or a nap in the park. It’s compact and lightweight. Its ready to go when you are! 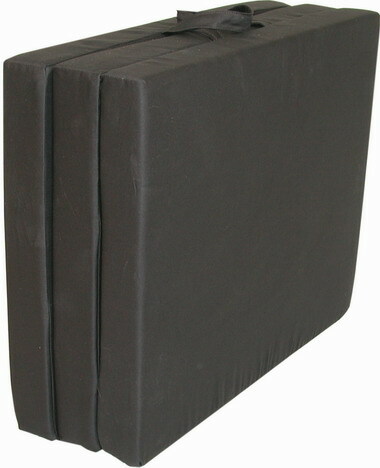 Filled with 3.5" Thick fire resistant, high density polyurethane foam. Easy to clean. Designed and built for years of trouble free use. Recommended for children and adults of all ages. We at Fantasy Futons have personally used these with our 4 children for years. They hold up very well to the jumping pulling, playing, and abusing.